With the Iowa caucuses, voters have rendered irrelevant earlier prognostications of which candidates will succeed. We have already seen a number suspend or end their campaigns. Citizens in other states will soon cast their own votes for candidates to become their party’s presidential nominee. Each voter will evaluate which candidate’s values best lines up with theirs. Do we stop to ask what shapes our values and political commitments? I am challenged by this question when I consider how much time I spend to reading news articles and opinions about the candidates. I believe being an informed voter is essential, but I probably give more energy to political reportage and debate than I do to prayer. For followers of Christ, ensuring our values stem from the God of Abraham, Isaac, and Jacob is vastly important. It is easy to acquiesce to the loudest voices and uncritically adopt the agendas of candidates or political parties as our own. Prayer, reflecting on Scripture, and engagement in Christian community are essential practices to make sure our political values reflect the God we worship. Last year I published a devotional, The Politics of Praise: Devotional Readings on Psalms 72 & 146, that helps readers pray through these two very political psalms. Psalm 146 is a terrific prayer as we listen to candidates share their agendas. Praying this psalm allows us to see God’s agenda of creation, justice for the oppressed, and renewal for the abandoned. Psalm 72 is a prayer for governmental leaders, but it gives us an image of the kind of nation God blesses. This is a nation that prioritizes the weak and needy, the people on the margins. 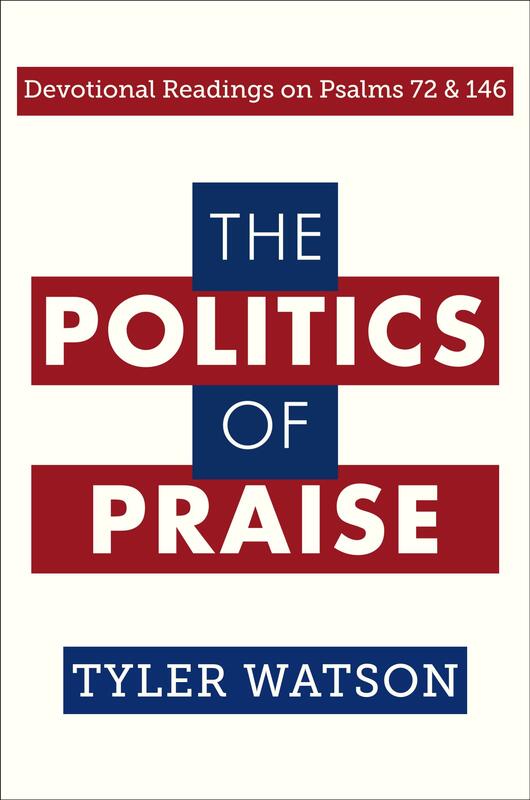 The Politics of Praise is available in both the Kindle format and paperback at Amazon.